When I wrote about the Ghost Grab-A-Meter on February 15, 2012 I shared an opinion about how Kenner only had one toy that tied into Ghostbusters II. 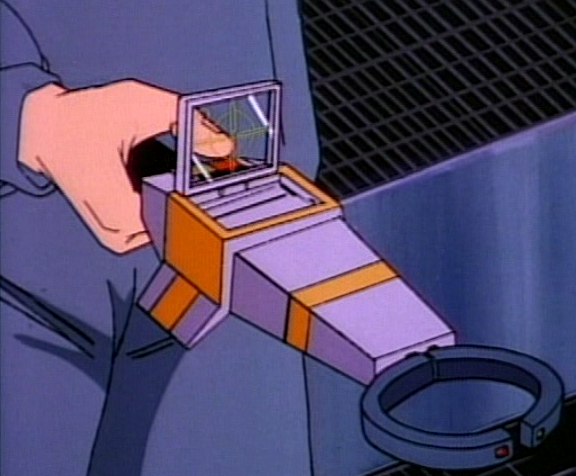 And that the Ghost Grab-A-Meter reminded me of two pieces of equipment from Ghostbusters II. What I didn’t remember then or yesterday when sharing its instructions because I hadn’t seen the episode in recent years is that Kenner may have based their toy on the Ghost Tether. 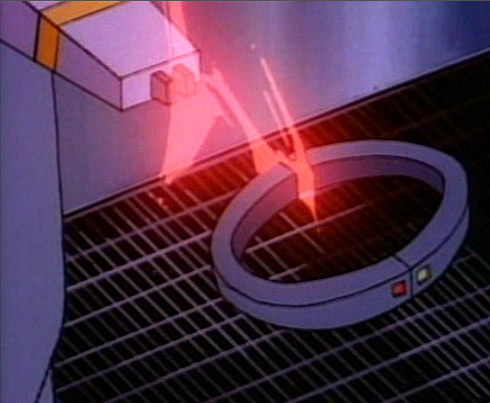 A piece of tech used in the 5 season episode, Partners In Slime. Matthew from Ghostbusters Wiki shared with us Ectocontainment and The Real Ghostbusters readers that they concluded Kenner’s version could have been based on this gadget. After seeing the GB Wiki’s images and watching part of the episode today for reference, enjoyment, and to make my own screen caps it continues to make sense. Of course the Ghost Tether and Ghost Grab-A-Meter operate differently. You couldn’t expect a respected toy company to make a capture like toy which “fires” a collar. They knew their could be law suits, Plus Kenner would have had to work with universities or NASA to add the laser like technology. More pictures of the Ghost Tether can be found at its respective page on Ghostbusters Wiki. Disclaimer: Screenshots are used for reference and no ownership is implied.